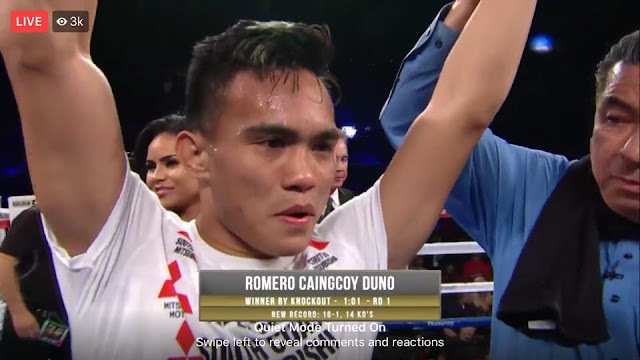 Filipino Romero Duno added another KO in his resume after scoring a big stoppage against the Mexican Yardley Armenta today, January 28, 2018 (Manila Time). That was a right hook connected on the temple of the Mexican that puts an end to the fight with 1:59 seconds remaining in the 1st round. The 22 years old from General Santos Philippines improved his record to 16 wins with 14 by way of KO's with 1 defeat. Watch the full fight video below.